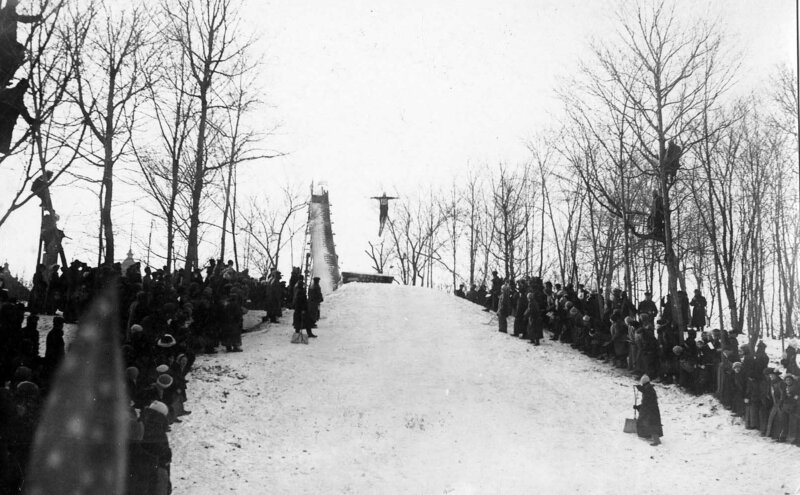 The 25-foot wooden ski jump was dedicated on January 14, 1911, making St. Olaf one of the first U.S. colleges to offer ski jumping. 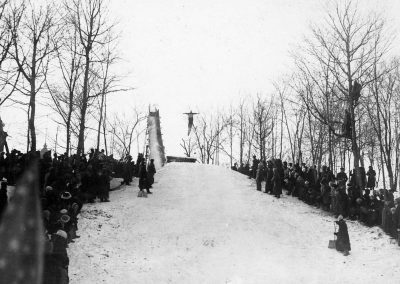 By January 1913, an upgraded 72-foot metal scaffold was erected and named in honor of Anders Haugen, the 1910 U.S. national ski jumping champion and world record holder. 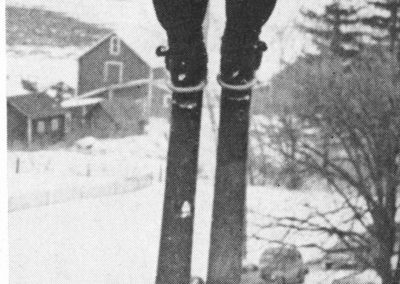 Annual tourneys attracted the best amateur skiers from across the northwestern United States and Norway, garnering 1,500 or more spectators. 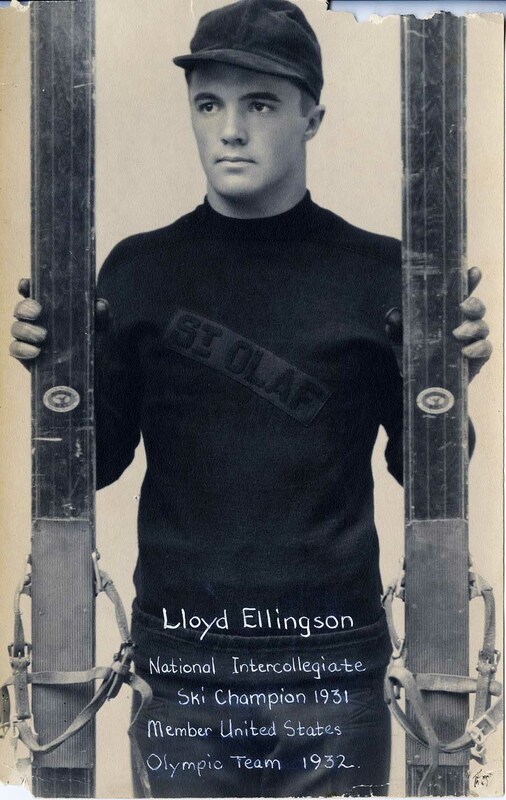 In 1930, the Haugen Ski Jump was modified essentially for one student, Lloyd Ellingson, who became national intercollegiate ski champion. 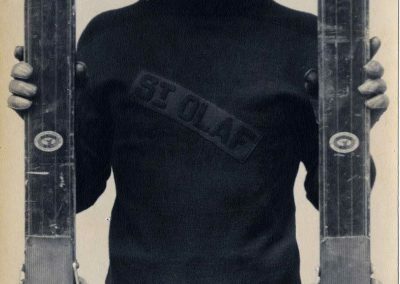 He was also a member of the 1932 Olympic ski team. 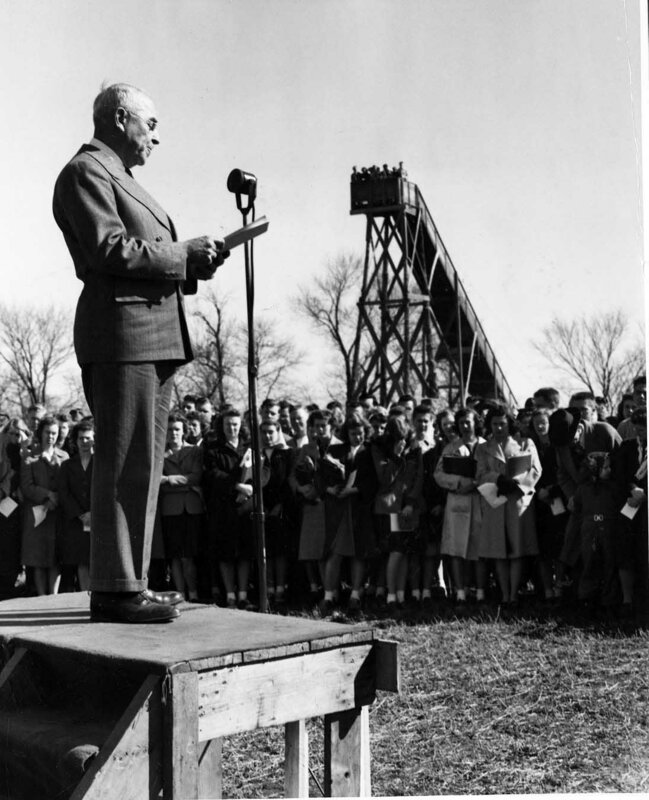 Officially the ski jump record of 90 feet was set by Wilbur Najjar, a skier from the University of Minnesota Duluth. 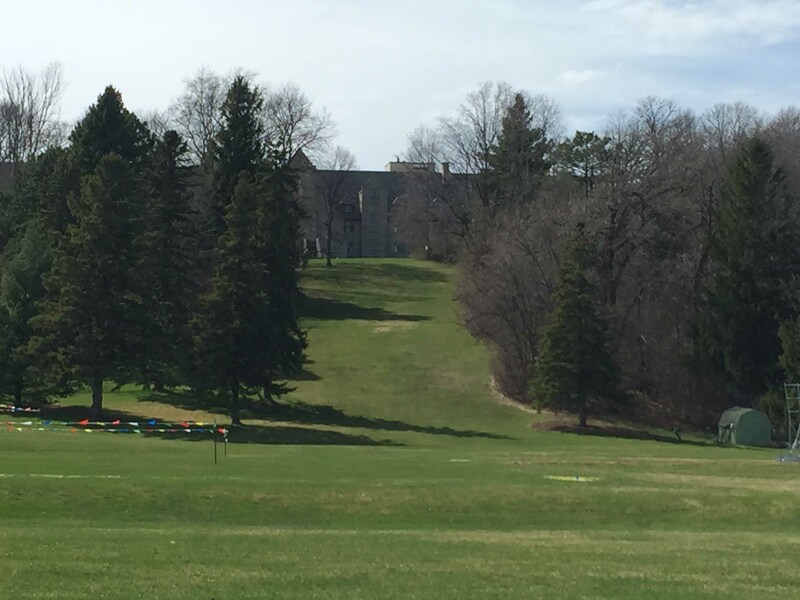 Another skier from the University of Minnesota Duluth, Joe Nowak, leaped 94 feet, but landed in the crowd and fell, so his jump did not reach the record book. 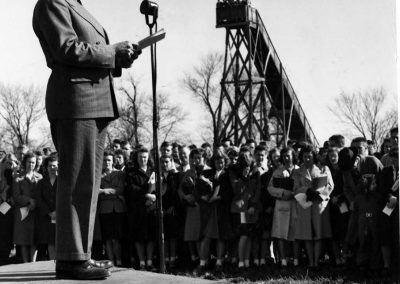 One of the greatest campus hoaxes took place in 1946 at the groundbreaking of Thorson Hall. Officials and spectators were horrified to see a body hurtle from the top of the slide and plunk to the ground below. Pandemonium ensued as the crowd rushed to the scene. An ambulance was summoned and arrived quickly with siren screaming. All this help was for a dummy, fashioned and tossed off the slide by prankster students. 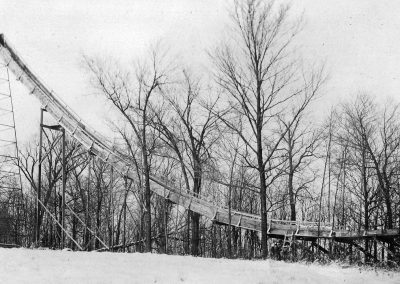 By February 1961, college officials had the venerable wooden ski jump permanently removed; it was determined to be potentially unsafe for neighborhood children. 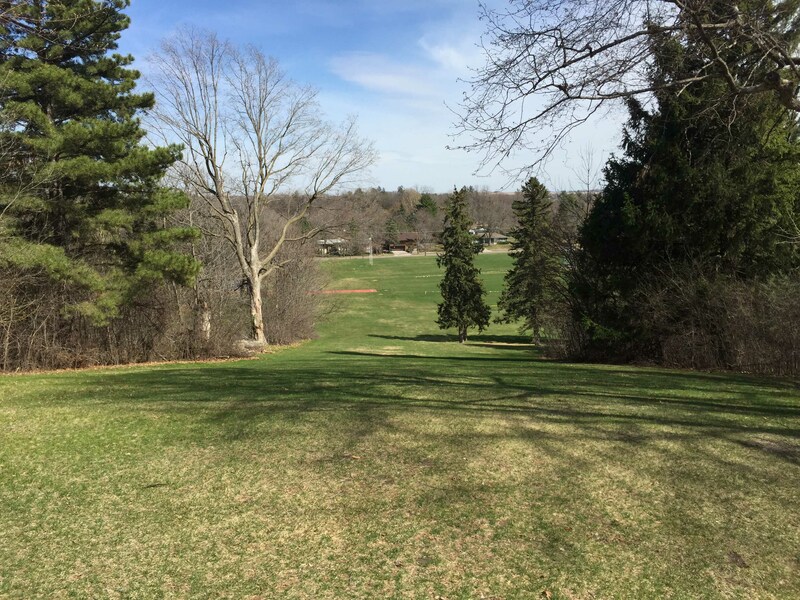 Disuse due to mild winters in the previous several years contributed to its demise. In addition, development of the athletic area below the jump had changed the grading of the landing slope’s outrun, making it unusable for ski jumping. Agre must have learned a few things from launching basketballs down the slide—he was awarded the 2003 Nobel Prize in chemistry. Popping off on Pop Hill Ski Jump. 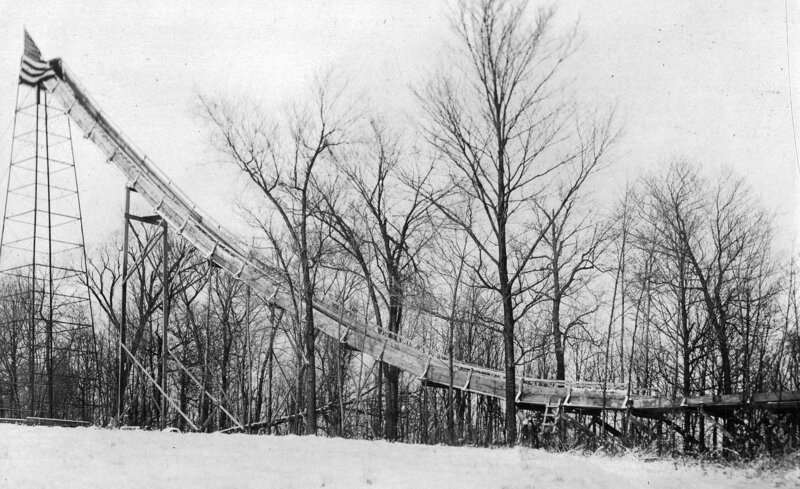 Original Wooden Ski Jump, a.k.a. Haugen Ski Jump, ca. 1913.